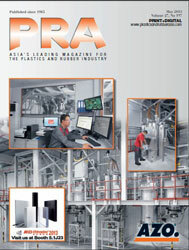 Milacron Holdings Corp, a leading industrial technology company serving the plastics processing industry recently completed another round of expansions to their injection, blow and extrusion moulding machine manufacturing facility in Ahmedabad, as well as their hot runner manufacturing facility in Coimbatore. 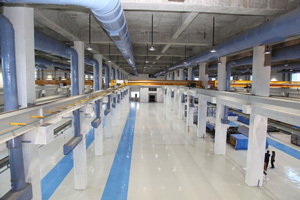 The completed addition to the Ahmedabad facility added an additional 9,304 sq m bringing the total footprint to 65,000 sqm. The additional space will primarily be used for machining and assembly. The ground floor of the facility is air-conditioned and features a state of the art rainwater harvesting and recharging system. The machine manufacturing facility will enhance manufacturing capabilities and boost Milacron’s production volumes to meet the increasing demand for Milacron’s industry leading injection, blow and extrusion moulding machines. Milacron’s India machine plant manufactures a large variety of hydraulic, servo and electric injection moulding machines, blow moulding, PET, as well as extrusion machines. 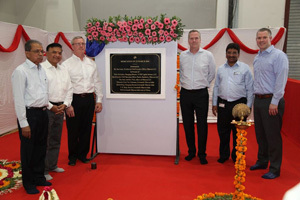 Milacron CEO Tom Goeke and Ron Krisanda, COO were on hand for the traditional Indian Pooja inauguration ceremony along with Mahendra Patel, Vice Chairman, Ferromatik India, ShirishDivgi, Managing Director, Ferromatik India and Kannan Venkatraman, Managing Director, Mold-Masters India. Meanwhile in Coimbatore, India, Milacron’s hot runner brand, Mold-Masters, completed a 10,000 sqft expansion in Q2 2015 and have recently added a large brazed furnace, allowing the India operations to manufacture Mold-Masters proprietary iFLOW manifold technology. iFLOW manifolds are an ideal solution for applications requiring balanced fill, fast colour changes and complex cavity layouts. Milling the melt channel paths into individual pieces allows for endless melt channel layout possibilities and eliminates the need for manifold plugs. The smooth and gentle corners reduce pressure drop in the manifold, helping to flush colours through the melt channels and provide exceptional fill balance. 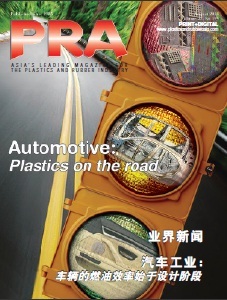 Furthermore, Milacron continues to push the boundaries of possibilities in plastics with breakthrough products from leading brands including Milacron, Mold-Masters, DME, Ferromatik, Uniloy and CIMCOOL.